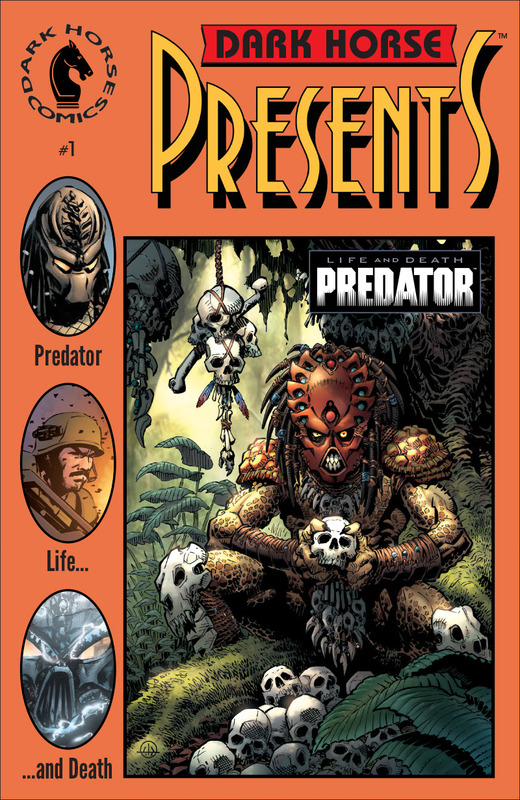 The Fellowship has obtained a first look at PREDATOR: LIFE AND DEATH #1 from Dark Horse Comics. 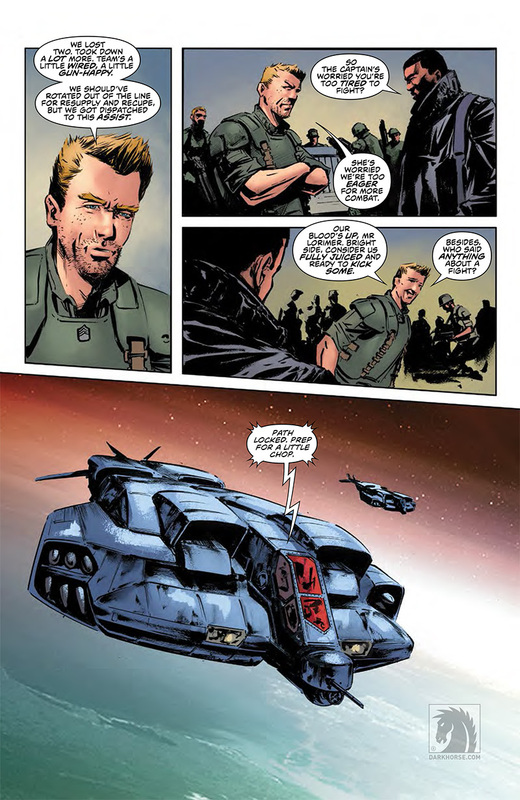 The issue, which hits stores March 2nd, is written by Dan Abnett with art by Brian Thies. 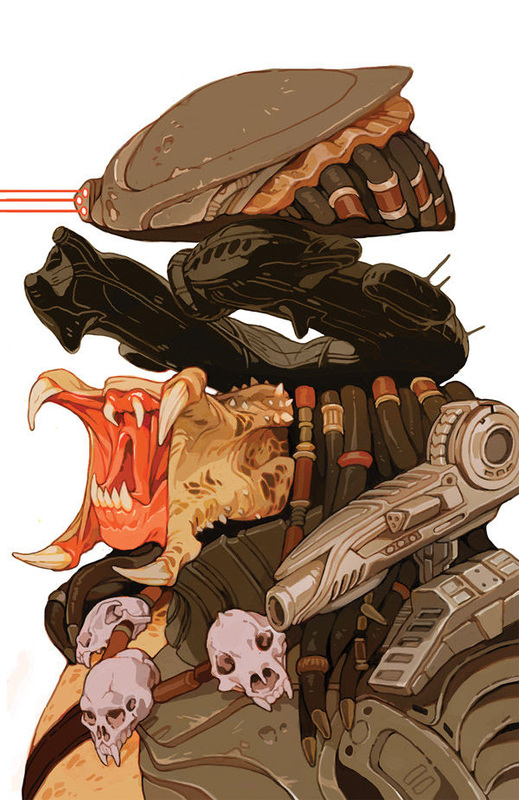 The cover is David Palumbo, with a variant by Sachin Teng and the 30th variant cover is by Chris Warner. 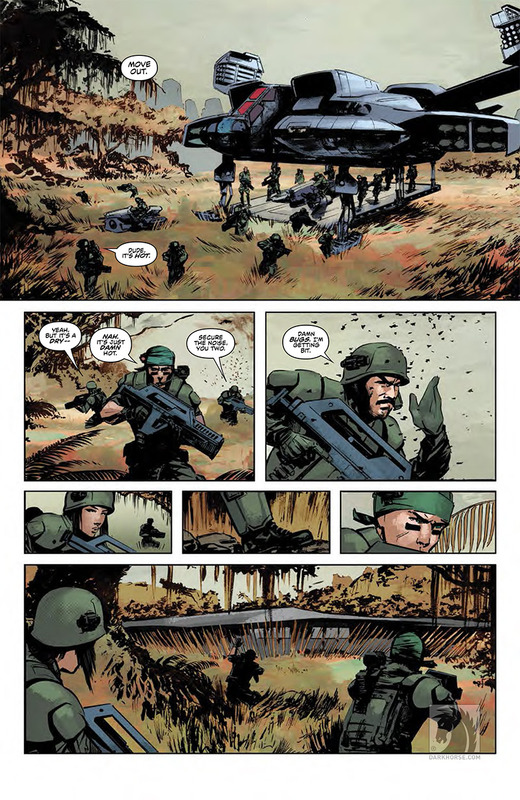 Colonial Marines on the planet Tartarus battle extraterrestrial hunters over the possession of a mysterious horseshoe-shaped spaceship of unknown origin. 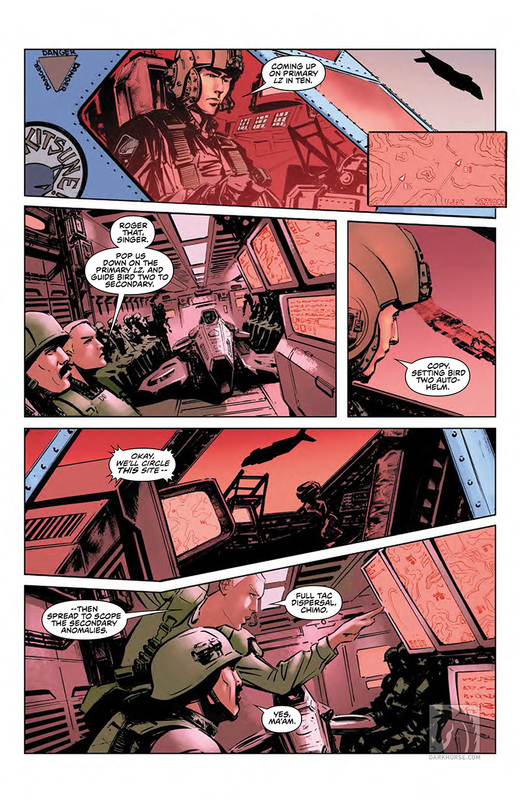 The Weyland-Yutani rep wants the ship, and the marine captain wants to protect her crew. 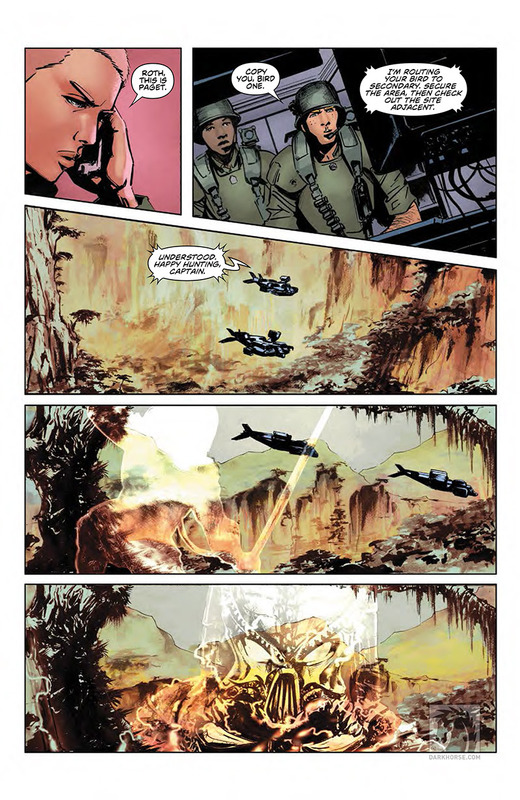 But neither objective is likely when a band of Predators attacks! 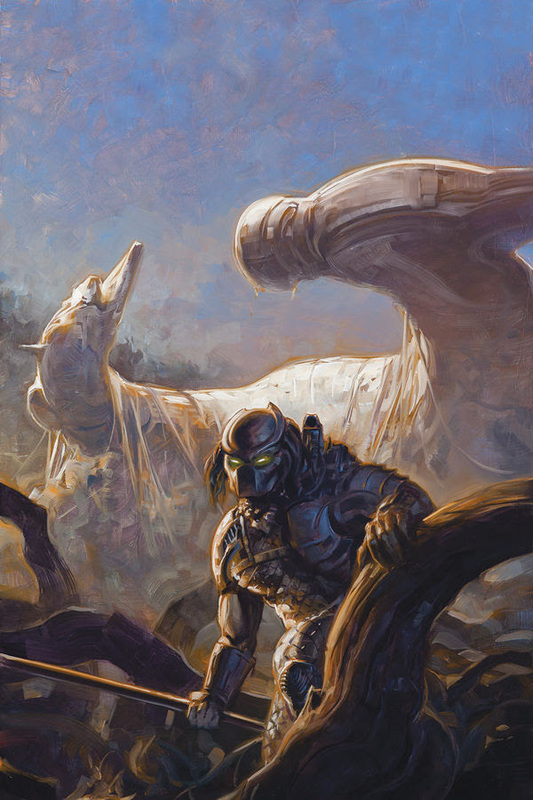 Predator: Life and Death begins chapter one in a new story cycle involving Predators, Aliens, and the mysterious Engineers from Prometheus!